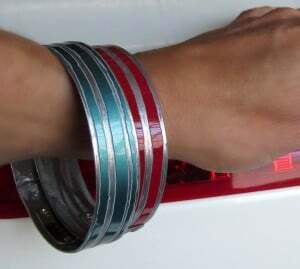 Imagine wearing your dream car on your wrist. 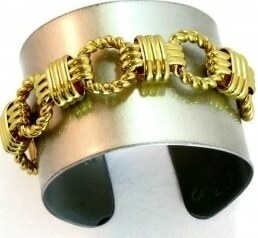 to present to clients, vendors, or employees. 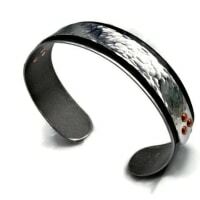 Your company’s name can even be discreetly etched on many of these items. 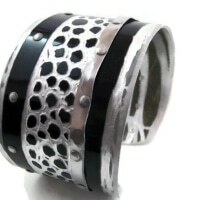 Your logo can be hot-stamped on custom gift boxes, bearing a piece of CRASH eco-chic luxury jewelry. 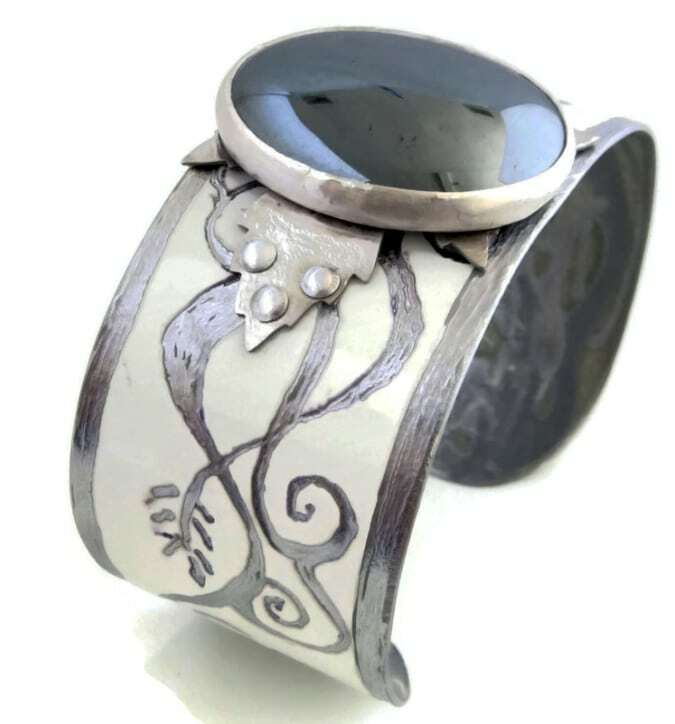 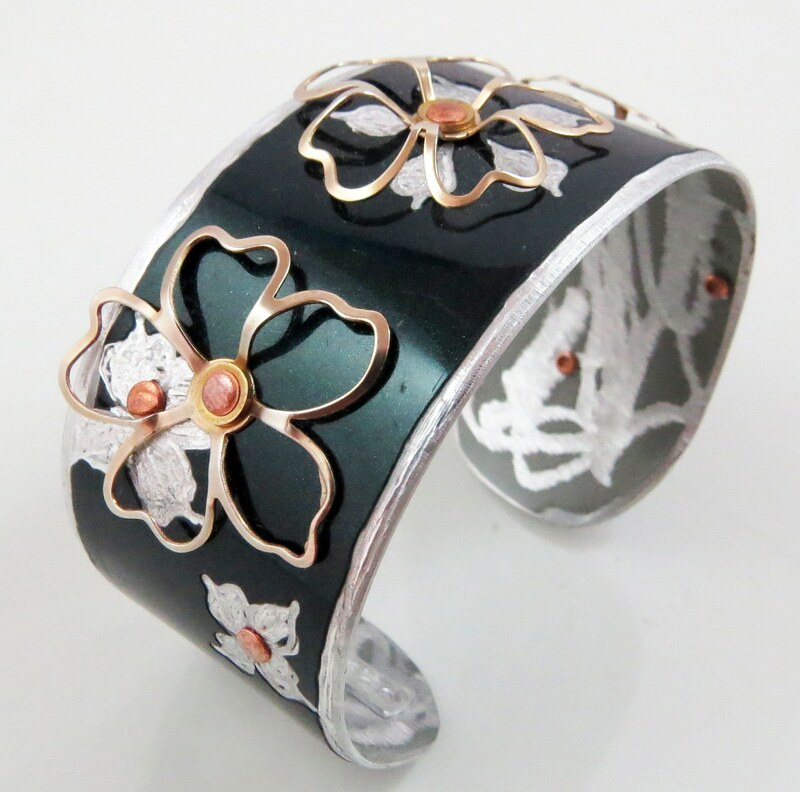 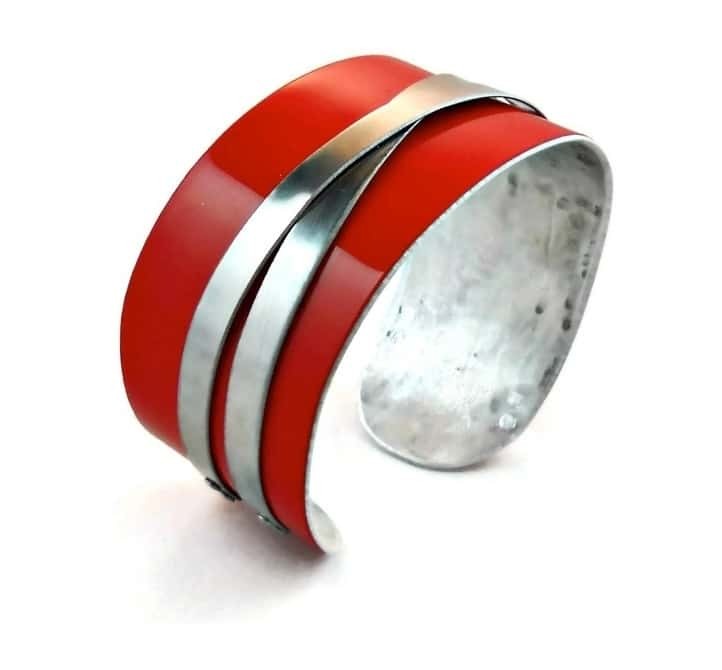 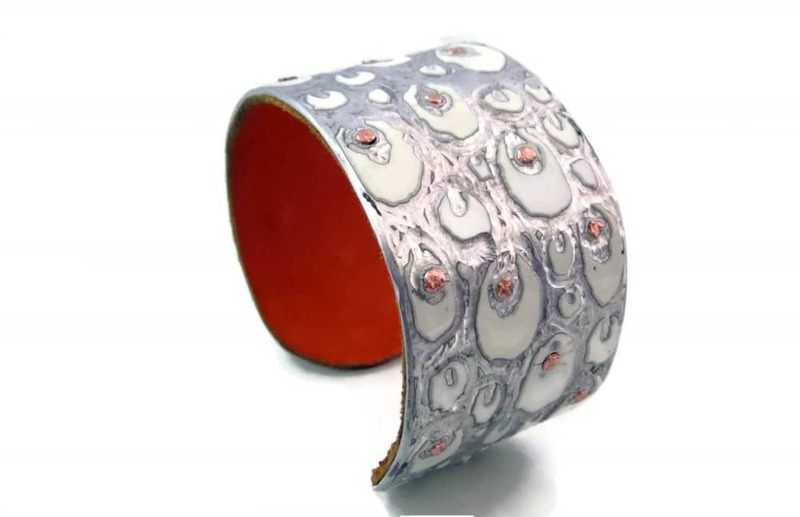 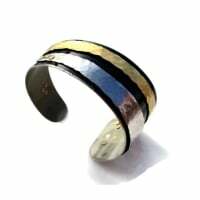 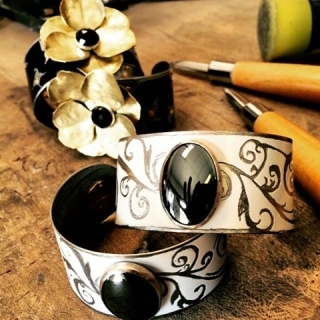 Imagine wearing your customer’s or your product on your wrist or sleeve. 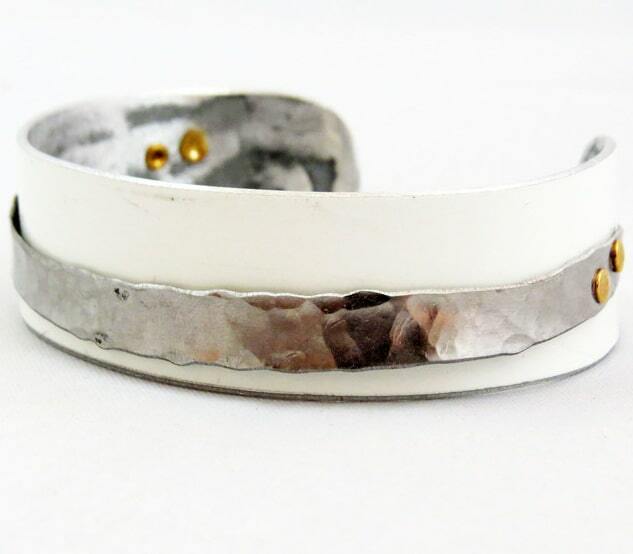 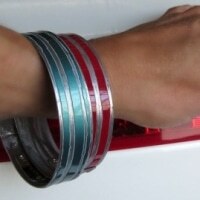 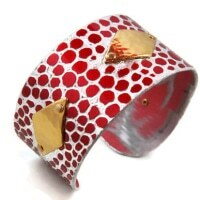 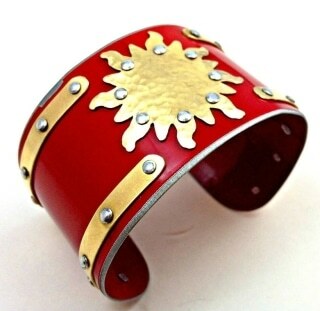 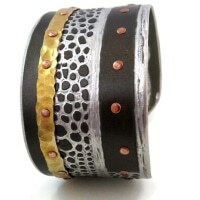 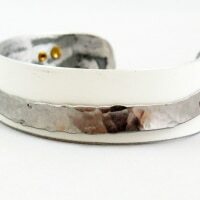 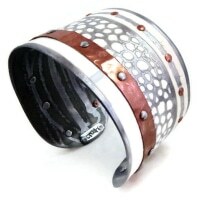 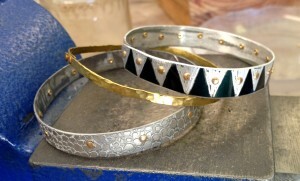 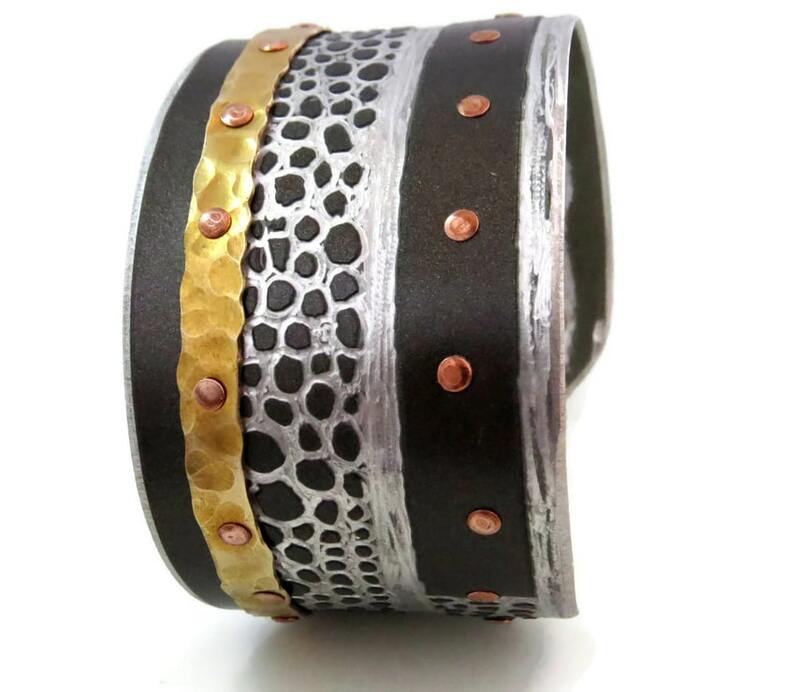 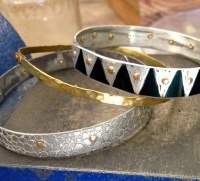 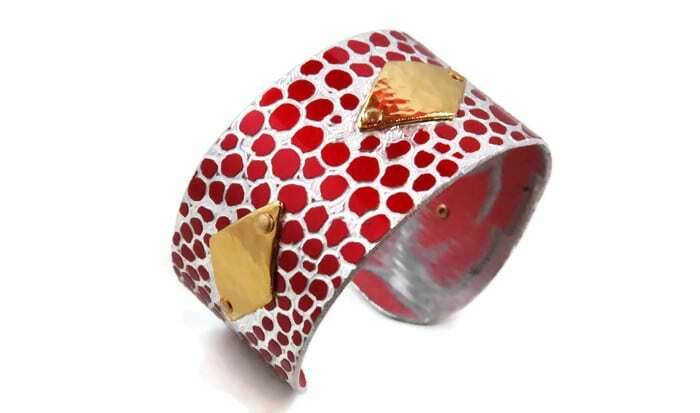 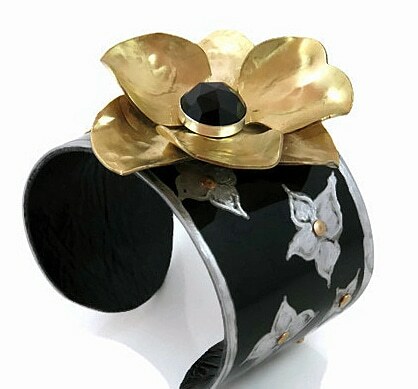 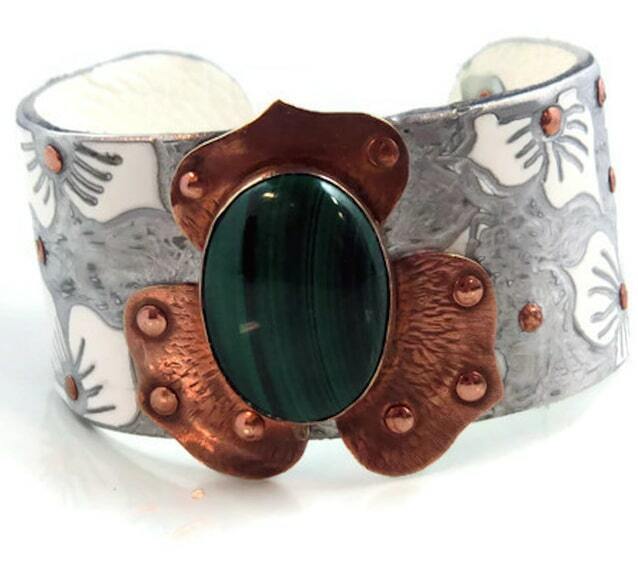 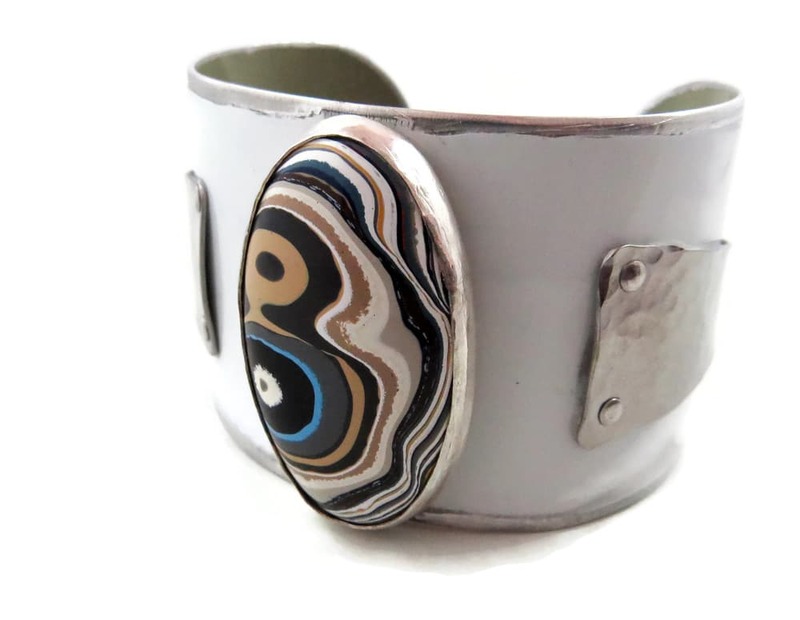 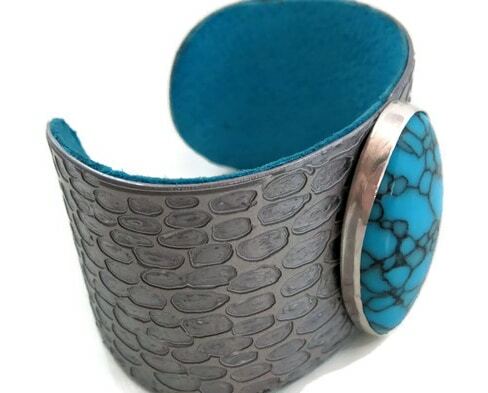 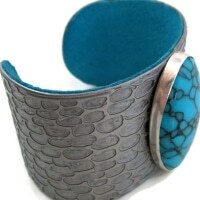 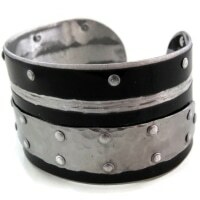 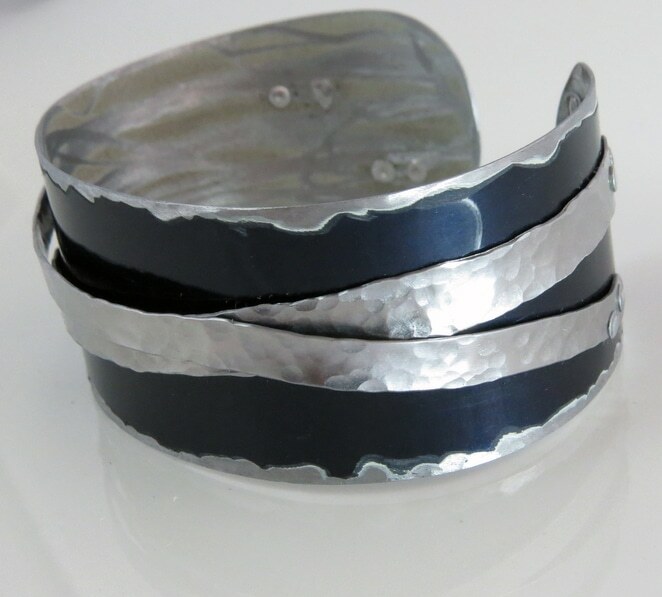 Note: A few of the above cuffs are truly one-of-a-kind and can’t be replicated. 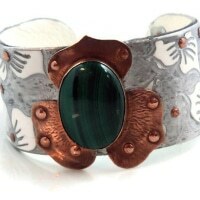 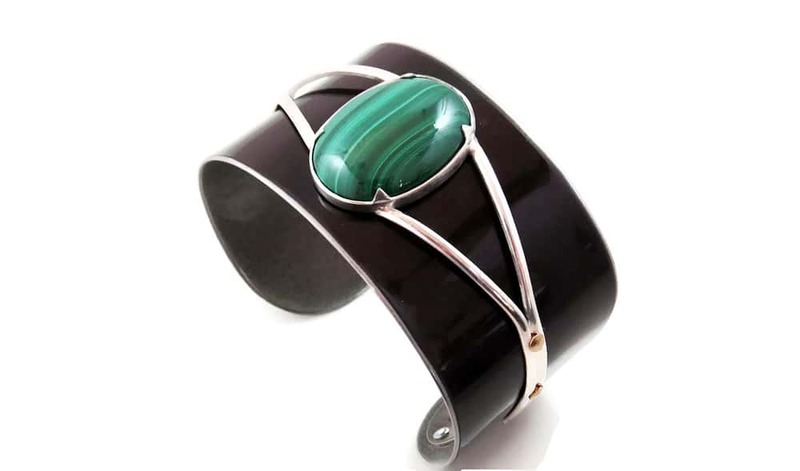 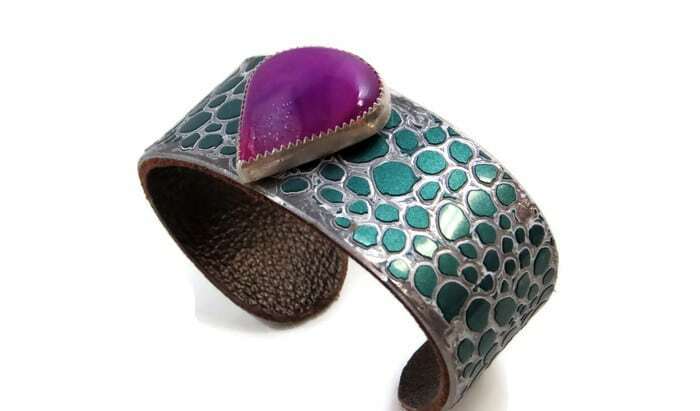 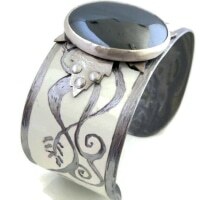 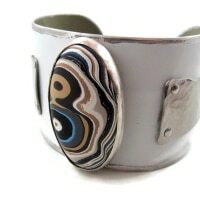 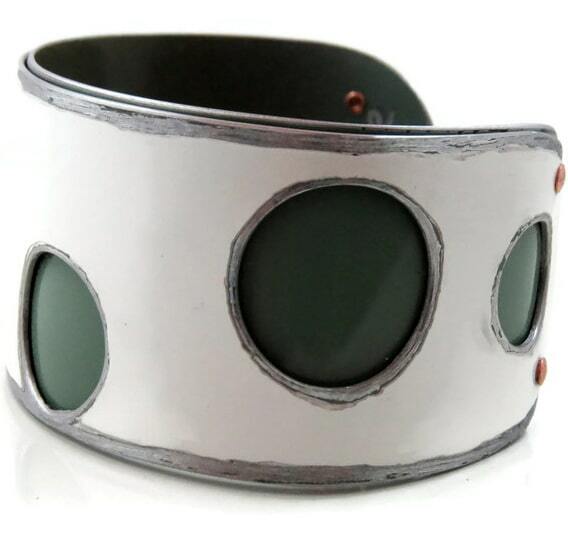 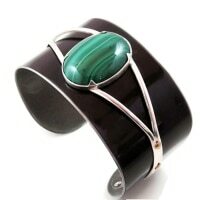 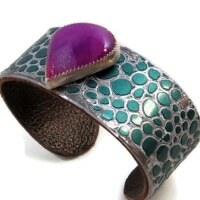 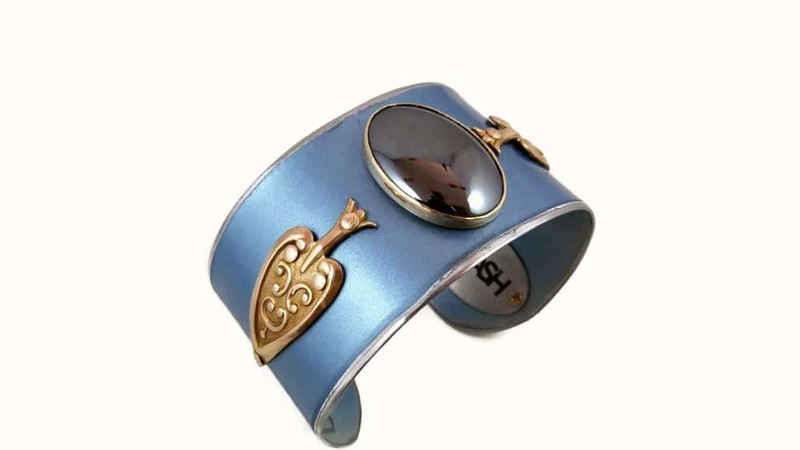 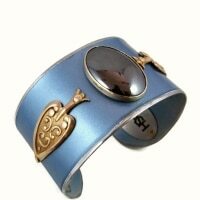 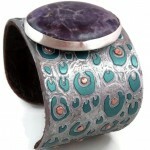 However, unique items can be created for you in a choice of colors, semi-precious stones, and metals. 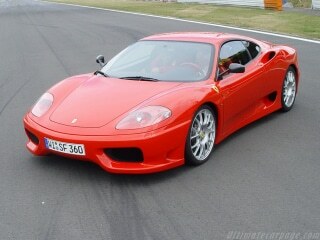 Call us at 949-786-9268. 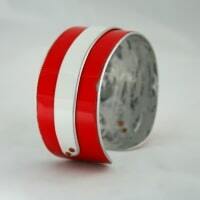 We can assist with choosing the right products, consistent with your brand, budget, logo colors, and theme of your event or project. 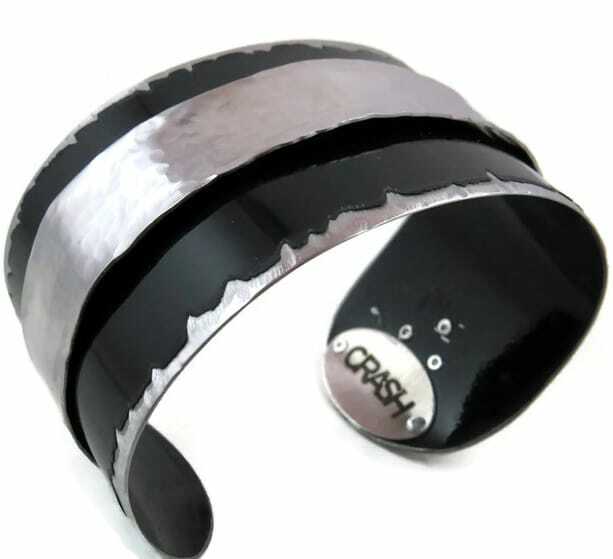 CRASH is an eco-friendly business with the goal of bringing you a quality product, while using re-purposed materials. 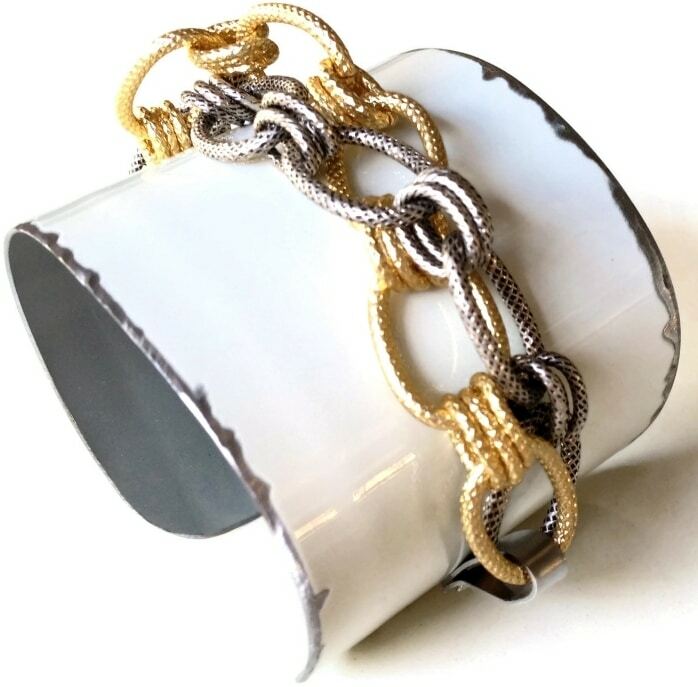 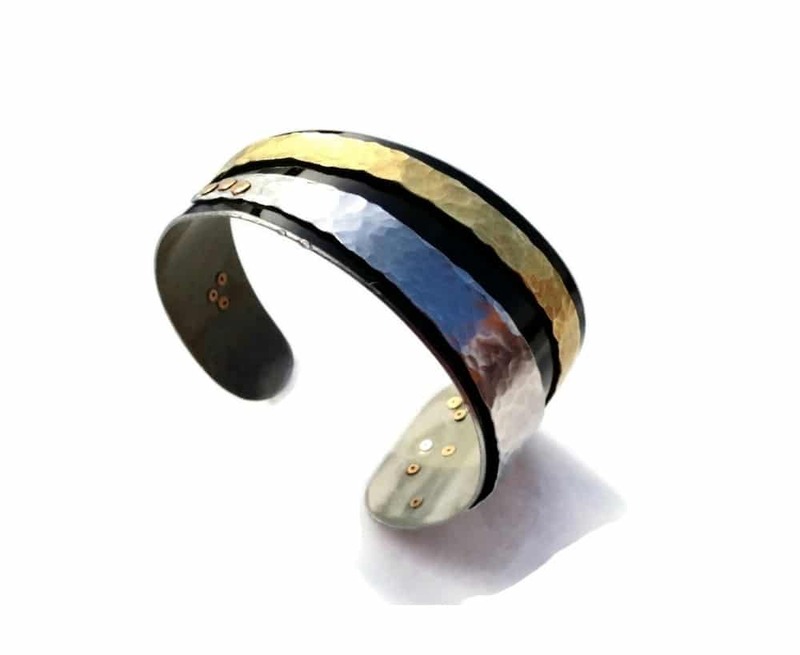 The owner, Christi Schimpke, refers to this as ‘upcycling’ because beautiful luxury products are created from materials that would otherwise be thrown into a landfill. 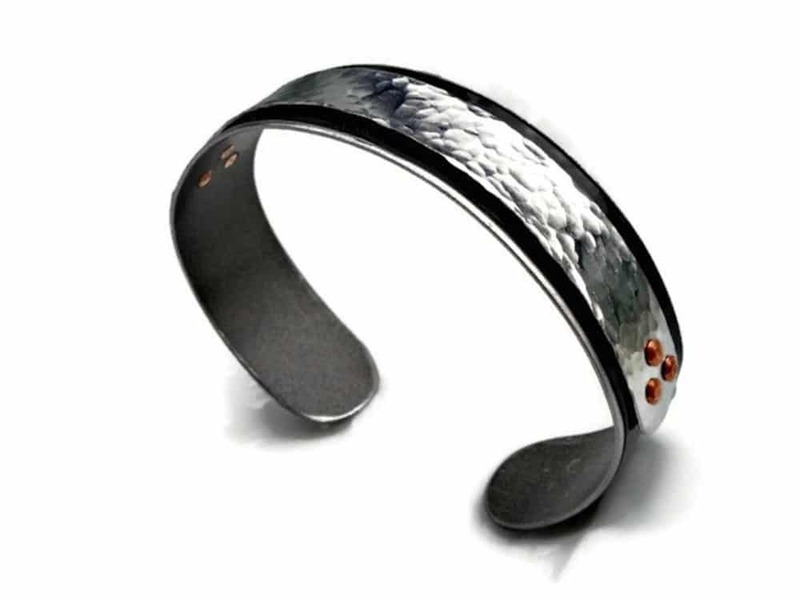 Each piece in the collection is individually crafted by hand, using traditional metal-smithing techniques. 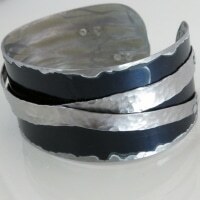 Each item comes with a Certificate of Authenticity. 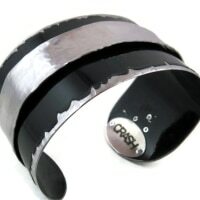 Should you want one or two pieces of CRASH jewelry, please directly contact Christi Schimpke at CRASH by Minabea. 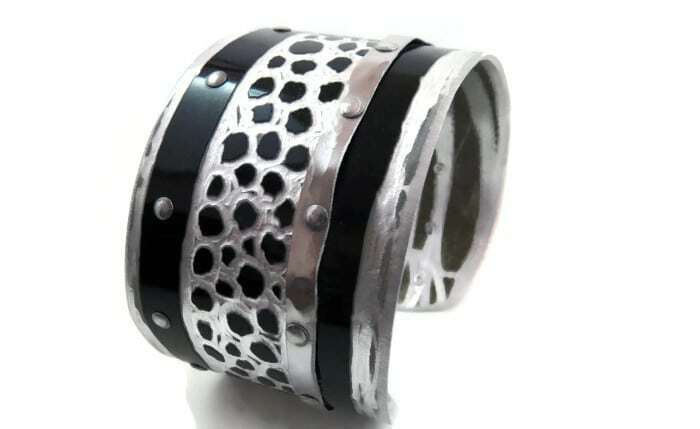 Cordova & Associates has partnered with CRASH to provide their eco-friendly jewelry to the event and corporate marketplace. 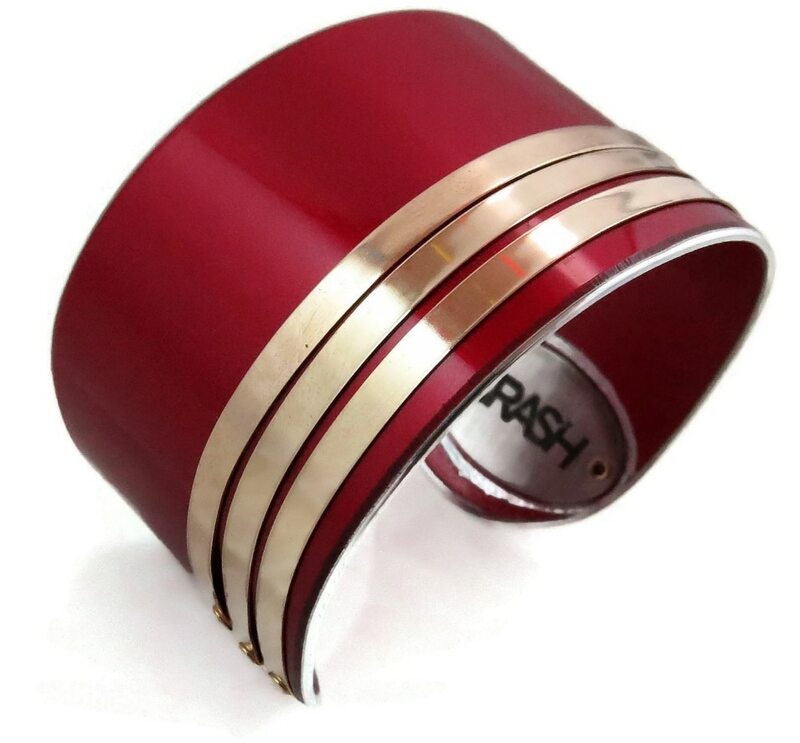 With your order of 3 or more CRASH items, we will include blank upscale boxes and gift bags, at no additional charge to you. Cordova & Associates provides beautiful leatherette jewelry boxes for cuff links and many of the CRASH cuffs, depending on availability. 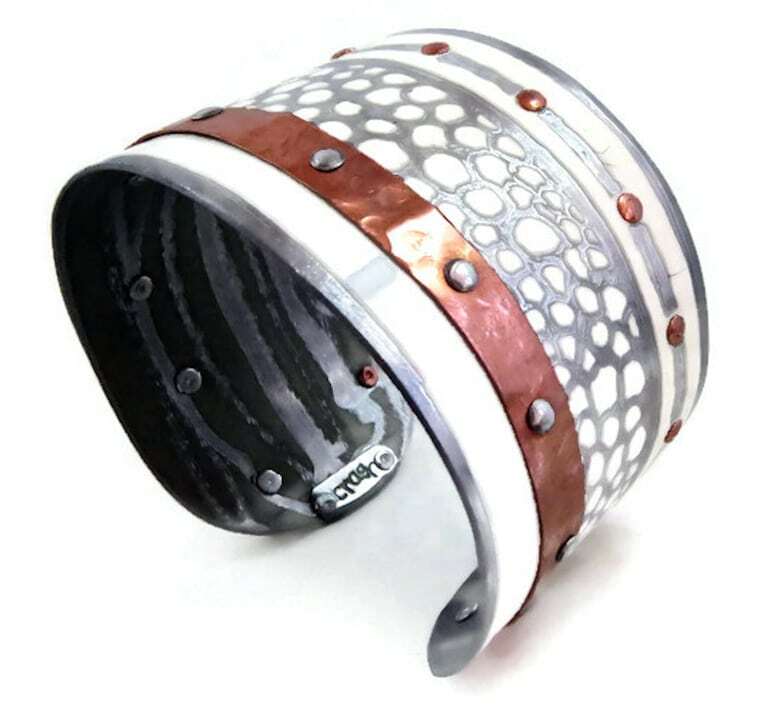 However, some of the cuffs are too wide to fit in the jewelry box. 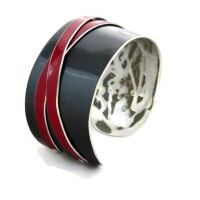 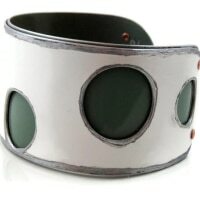 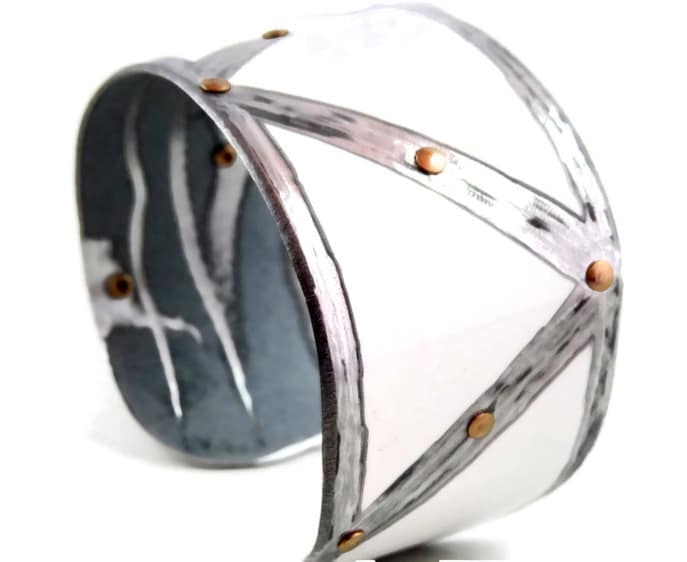 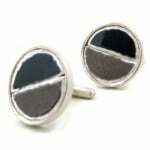 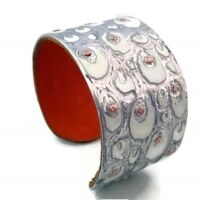 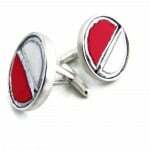 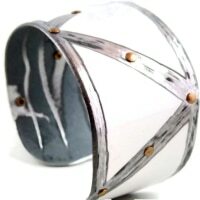 We provide very attractive round boxes for those wider cuffs. 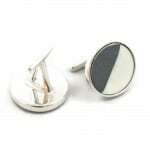 Should you want your logo on the presentation packaging, higher minimum quantities are required. 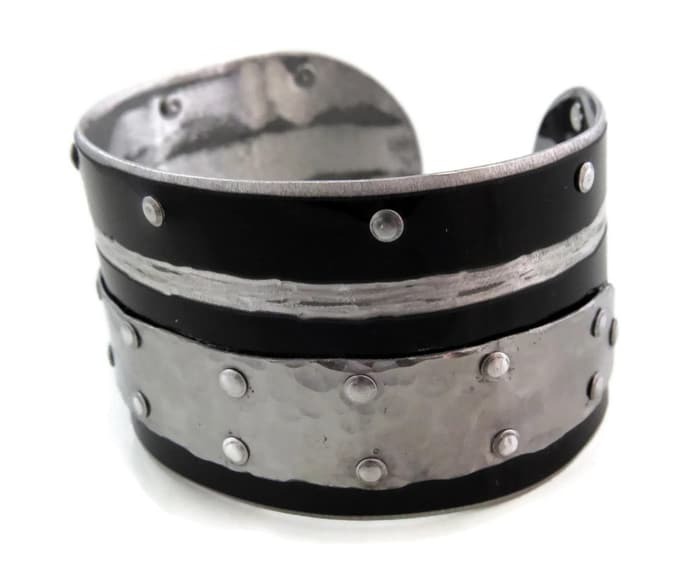 We are proud that one of our clients gave CRASH cuffs as gifts to attendees at an exclusive party they gave for the 2015 Grammy’s.